Longwood prides itself on remaining a family oriented community, despite its growth over the years. The area encompasses several country club developments as well as more moderately priced homes for families just starting out. 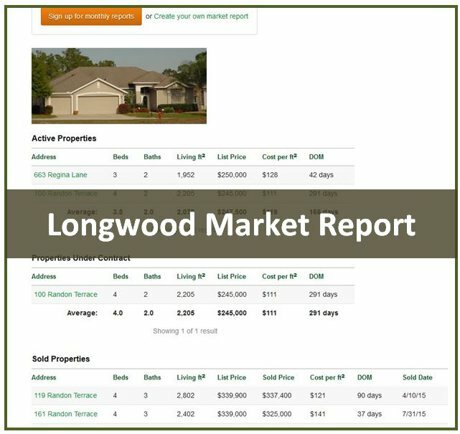 Longwood is the address for many of the upscale neighborhoods off Markham Woods Road as well as the massive golf communities of Sweetwater Oaks, Sabal Point, and Wekiva; all highly sought after because of the established neighborhoods, amenities, and excellent schools. Longwood is also home to luxury gated communities such as Alaqua Lakes, Alaqua, and Wingfield North. 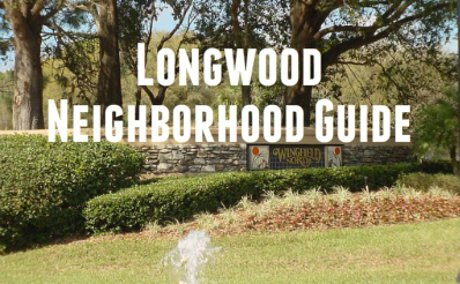 Click on our neighborhood guide to view Longwood's best neighborhoods. 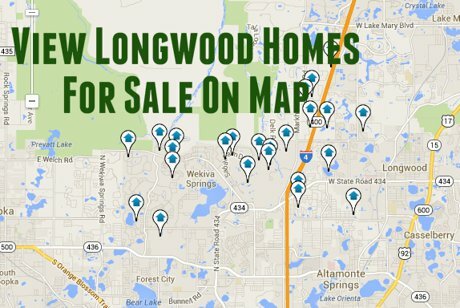 To view all Longwood homes for sale, click here or on the blue button above. 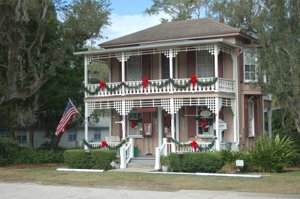 Longwood's historic downtown area is characterized by brick streets, moss-draped oaks, and some of Central Florida's oldest buildings. The quaint area is located just north of the intersection of State Road 434 and Ronald Reagan Blvd. The area is loaded with potential and the opening of the SunRail system and its station in downtown Longwood have the city excited about the possibility of turning the 20 block area into a vibrant community where commuters will step off the train to shop, dine, and even live. The district is on the National Register of Historic Places and has 37 structures built in the 19th and earlier 20th centuries. While most of the residential communities that have a Longwood address are outside of the city limits, the area is close enough to be a destination for local residents as well as commuters. The Longwood SunRail Station is located in the city's historic district, just east of the intersection of Ronald Reagan Blvd. (C.R. 427) and Church Ave. The station was built in keeping with the historic character of the area. Longwood plans a mixed use development adjacent to the station and city officials are excited about the commuter train system providing potential shoppers and diners for its downtown area. The Longwood Community Building provides an excellent venue for weddings, receptions, business meetings, parties banquets and retreats. It is available for rental on a block basis. The building was built in the last few years, but in the 19th century Victorian style. 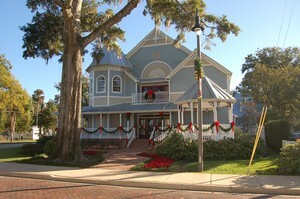 It is located at 200 W. Warren Ave. in the downtown Longwood Historic District.